The first night camping my throat was sore and I figured it was from the campfire... but the next day it hurt even more??? By the time we came home on Monday I had a full fledged cold where every part of my body ached. Yesterday I barely made it through work and today's not much better. 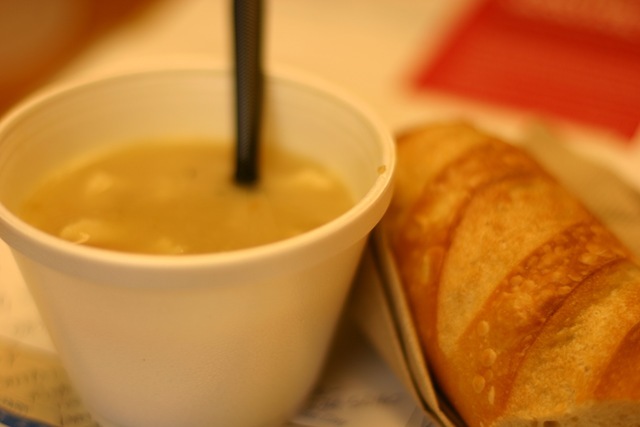 The one thing that did help for a bit was lunch at Panera Bread (Chelsea's 2nd job) where I got some chicken soup. We are counting down here and I hope by the weekend I am feeling better.